The book trade underwent a radical change at the end of the twentieth century that mirrored our cultural fascinations with electronic media and consumer culture, as old family firms were replaced by corporations, the ending of the Net Book Agreement gave shops a new freedom to compete by cutting their prices, and booksellers saw patrons increasingly influenced by the rise of the Internet. The British Book Trade is more than a book about books that considers the influence of these events and others– it also describes the heyday of book publishing and how that world has changed. This volume provides access to a culture often perceived as glamorous, incestuous, and hard to enter, through the words of insiders across the board—from sales representatives and shop assistants to secretaries, editors, and executives. Their experiences range from the 1920s to the present and include recollections of the British trade at home and overseas as far as Australia, South East Asia, and India. 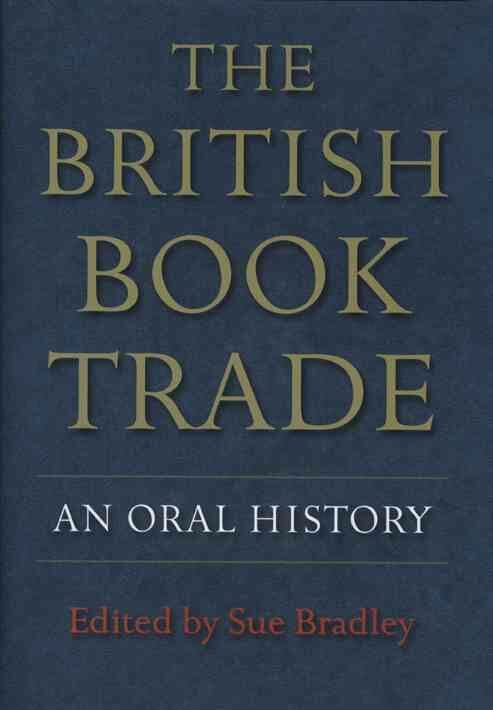 The British Book Trade draws on accounts from the Book Trade Lives collection of in-depth oral history interviews recorded by the National Life Stories and accessible through the British Library Sound Archive—which presents a wealth of seldom-heard materials on book and publishing culture.